Born in Tel Aviv in 1970, Dani Menkin began his career as a reporter for Sport5—the Israeli Sport Channel. 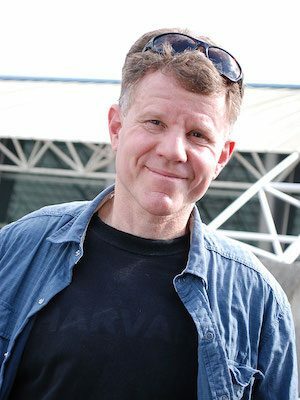 As a journalist, he directed features for the investigative program “Uvda” and also worked on a series for the National Geographic Society. His films have won a slew of prestigious awards, including Best Indie Film of 2014, Best Film at the Haifa International Film Festival, and an Israeli Academy Award. 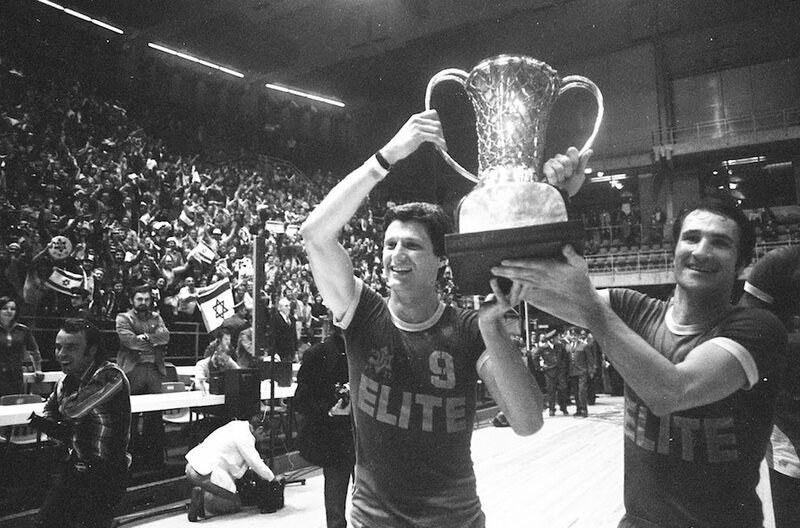 On The Map, the story of Maccabi Tel Aviv’s stunning triumph in the 1977 European Basketball Championships, is his first full length film on sport. 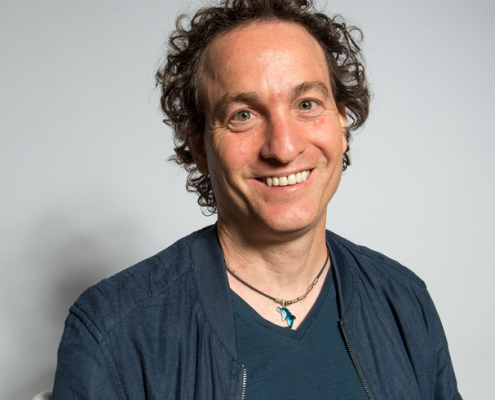 Menkin, who now lives in Los Angeles, recently spoke with the BJFF’s Ken Shulman. Ken Shulman: Dani, you were seven years old when Maccabi Tel Aviv beat CSKA Moscow, the Soviet team. Do you remember it at all? Dani Menkin: Remember it? It’s one of my most potent childhood memories. It was an unbelievable moment. The entire city of Tel Aviv was watching. There wasn’t a car on the streets. I watched the game with my father in our house, on a black and white tv, which is all anyone had in those days. I’d never seen my father so excited. KS: What was it about that tournament that so captured everyone’s imagination? DM: Israel was not even 30 years old at that time. We had so many difficulties, politics, security, the economy, only some of which we show in the film. We needed something to unite us. Maccabi Tel Aviv was a ray of light. Especially when we played the CSKA Moscow. They were the Soviets, the country that was supplying arms to all the surrounding countries that wanted to wipe us off the map. Because of that, we felt that Maccabi was representing our country, against all the countries who didn’t want us there. It was something much larger than just a basketball game. KS: Was the victory against the Soviet Union the most important game in the tournament? KS: You made the first version of On The Map for Israel television. The current version, the one you’re screening at Boston, is different. KS:Where did your love of sport come from? DM: One of my other vivid childhood memories is the dream of becoming a professional athlete. I wanted to be a soccer player, or a basketball player. When I realized at last that this wasn’t going to happen, I joined the Israeli Sport Channel. That’s how I became a filmmaker. KS: Does Israel still need to be put on the map today? DM: Israel still faces some of the same challenges. But we’re not in the same place that we were in the 1970’s. First, we’re twice as old as a country. We’re also more established, and we’re on the map in so many ways: hi tech, movies, and also in sports. There are still entities and actors who say they don’t want us on the map. But I think even they realize now that our existence is no longer in question. DM: Not a one. People always like stories about underdogs. This movie could be about any country facing a stronger team in sport. It happens to be about Israel, and shows the country in a positive light. My movies are screened all over the world and I’ve never experienced one episode of hostility. When you show a good movie with a universal plot and theme, people tend to like it. Besides, my movies aren’t political. Not even this one. It’s just great drama, and people respond to that. KS: To this day, Israel still can’t compete against its neighbors in international sport. Israeli teams play their tournaments in Europe. DM: I would love for Israeli teams to compete against teams from Palestine, Egypt, or Morocco. I would like to see Israeli teams play against teams from countries that don’t recognize us. Even if we’re rebuffed. We should compete in sports. Enough with the weapons. There was an Israeli judoka who competed against an Egyptian athlete in last summer’s Olympics in Rio. He reached out to shake the Egyptian’s hand. The Egyptian refused. But the whole world saw the Israeli reaching out. As a country, we’re established now. We don’t need to chase after recognition. But we should continue to do what our judoka did. We should reach out. Opening Night Connect with the BJFF!